On Tuesday, Americans will go to the polls to elect a third of the Senate and all the members of the House of Representatives in what’s known as the mid-term elections. It is an American political tradition that the sitting President’s party is punished during these elections, with most tending to lose seats in Congress. Today, the smart money says that President Trump, despite a vicious and divisive campaign against the Democrats, will experience a particularly sharp rebuke. Due to an electoral map that tilts heavily to rural, traditionally Republican parts of the country, his party looks set to hold the Senate. But the House of Representatives will likely return to Democratic control, under the leadership of one of the most formidable and longest-serving American legislators, Nancy Pelosi. It will mark the Democrats return to power after being swept out resoundingly during former president Obama’s first term in 2010. The Democrats are on a roll; they have found their voice. They’ve raised an astonishing amount of money. They have swung significantly to the left and adopted white-hot rhetoric that echoes the frustration felt by their supporters. They are supported by an energized base furious at Trump and his supporters; a base who sees such a takeover as the only way to effectively stymy the president’s agenda. And they just might be right — in the short term. After all, Pelosi has made a career of thwarting conservative ambitions. Winning the House would let the Democrats use process to tangle up regulatory changes, vote down legislation and open investigations into the president and his team. It would allow them to distract the administration from its policy agenda and would expose them to major legal risks. But, from the department of unintended consequences, it just may be that in doing all of these things to undermine the president, the Democrats will end up making Trump’s re-election case for him. For the last two years, when it comes to national policy, the president has been the only show in town. With a Republican Senate, a Republican House, and Republicans holding a record number of governorships, the spotlight has been solely focused on the president’s party, as has the criticism that comes with it. The Democrats, on the other hand, have been in the enviable position of being able to criticize with little requirement to present their own solutions. As a result, the torrent of critical coverage of Trump over the last two years has taken its toll. His approval rating is significantly lower than his predecessors at this point in his presidency. But those numbers may be deceiving. While, according to polling aggregator FiveThirtyEight.com, polls show around 50-53 per cent of Americans disapprove of Donald Trump, those same polls also show an unshakable core of roughly 40-42 per cent of Americans who approve of him. That is no small number. Consider those results in a Canadian context: according to the CBC’s comparable polling aggregator, in the last 10 polls, Justin Trudeau averaged approval of 40 per cent of Canadians, while 49 per cent disapproved of his performance — numbers that are, within the margin of error, the same as the president’s. So, while polarizing, and perhaps even unusual, those numbers still provide a respectable base from which to launch a re-election campaign. If the Democrats do indeed take the House, they will be able to hinder the implementation of Trump’s agenda but they won’t have been handed a silver bullet. The president’s base will be energized, his fundraising turbocharged and, crucially, the contrast of ideas that he needs to win will be set up. 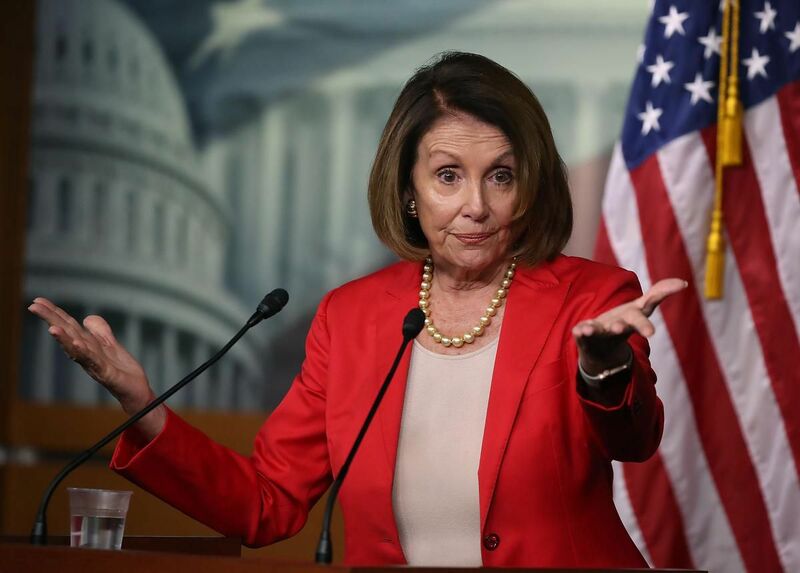 It just might turn out that the moment the speaker’s gavel is placed in Pelosi’s hands may one day be known as the day that Trump ensured his re-election.